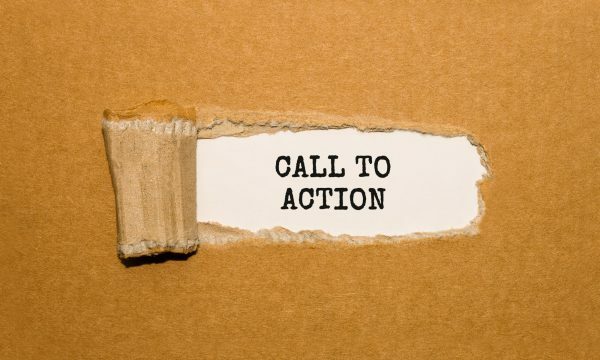 What is a Call to Action, and Why Do You Need One? If you run a small business and you’re just getting started in online marketing, and you’ve heard the term “call to action” but aren’t totally clear on what it means — this guide is for you. Your content attracts readers to your site. Once they are there, you want them to do more than just read your content and then go away. Call you and make an appointment for your services. Come in to your office or store. Follow you on social media. Why Include a Call to Action? Perhaps your readers might perform the desired action without a call to action, but the call to action increases the chances they will do what you want. It reminds the readers of the action and also gives them a nudge via the power of suggestion. Marketing maven Neil Patel points out that if you appeal to your readers’ sense of anticipation, make them curious about what will happen after they click the link, make the phone call, or receive the newsletter, and raise their expectations of a reward, your call to action can be powerful indeed. What to do. Tell them if they should call, click, download, sign up, etc. This should be a simple verb. How to do it. If you want them to call, make sure you include the phone number in your CTA. If they have to look elsewhere on your site to find it, the chances that they will actually call decrease. Make it as easy as possible for your reader. Along the same lines, if you want them to come in, provide the address in the CTA. Sometimes the “how” part of the CTA is simply a link to another page on your site, for example, a contact page, a download page, or a page that will let them sign up for a newsletter. Those are the two essential ingredients of a CTA. You may also want to add the name of your company and a specific reason for the reader to perform the action. Keep it simple. You want to guide your reader down a clear path that leads straight to their taking the desired action. Don’t over-complicate the call to action by giving your readers too many choices of things to do. Where Should You Put Your CTA? Calls to action are traditionally placed at the end of your content — the bottom of a web page or the end of a blog post. This has the advantage of being where your readers expect to find them. Some marketers, however, have been successful placing CTAs in unexpected locations. If you want a call to action. Where you want it (usually, but not always, at the end of the content). What you want it to include (company name? phone number? anything else?). If you have a specific call to action in mind, you can provide a sample. Otherwise, you can leave it up to your writer to use their best judgment with the information you provide. If you want help creating content for your site that will be a magnet for new customers, sign up today at WriterAccess, and see what we can do to help make your business thrive! Marjorie R has written articles online for more than 15 years and has also written humor for American Greetings and crossword puzzles for the New York Times. She wrote an entertainment blog that was consistently in the top 5 in the Google search results, and at its peak was #1 out of a total of 66,499,997 results. She has a B.A. in Psychology from UC Berkeley, an M.A. in Creative Writing/English from SF State, and a J.D. from UC Hastings.